With the project Summerlabb, the Bouwkundewinkel looks back on a very successful project. The construction, which once started as an assignment from us, is still in use. SummerLabb is the lab of festival land. 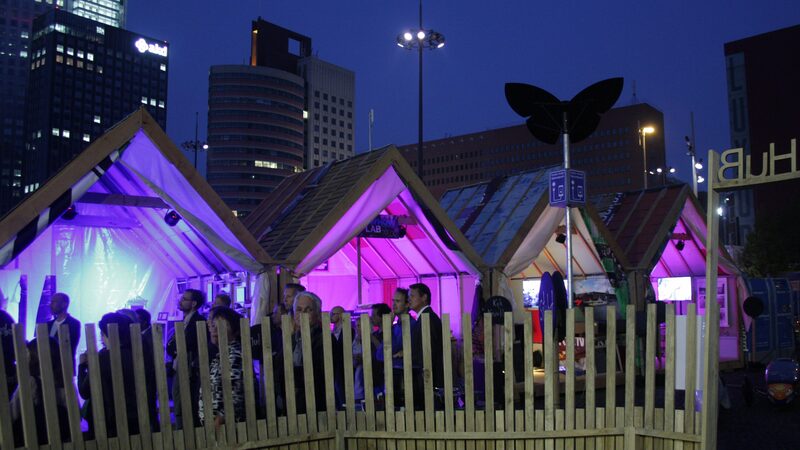 Universities, knowledge institutions and sustainable companies interact, taste and smell festival or event visitors in an interactive way with (technological) innovations in the field of sustainability. The project is a result of a project that was carried out at the Bouwkundewinkel. More information can be found on the Facebook page of Summerlabb.